Your car battery can die when you least expect it, leaving you unable to go to work or run your errands. 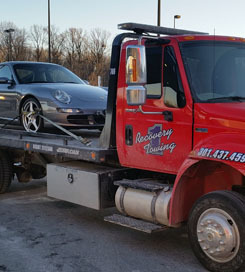 At Recovery 1 Towing LLC, we understand how inconvenient this is, which is why we provide prompt jump start service in Upper Marlboro, MD, and the surrounding areas. We maintain 35- to 40-minute response times for anyone requesting a car battery jump start or any of our other roadside assistance services. Our company also provides towing services for both broken-down vehicles as well as cars that are illegally parked and need to be removed. 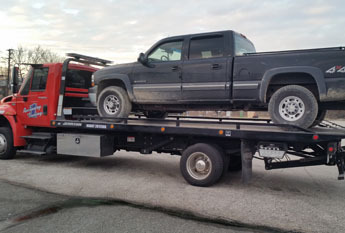 We offer flatbed towing, which is the safest and most effective way to tow vehicles without causing any damage to them. Are you stranded on the side of the road because something is wrong with your vehicle? Call our towing company. We provide expert roadside assistance to get your car or truck running again so you can be on your way. If you have a major mechanical problem with your vehicle or it was severely damaged in an auto accident, we can tow it to an auto shop to receive the necessary repairs. Our roadside assistance services are the ideal solutions for a number of car problems. We provide battery jump service if your battery has died and you need a quick jump to get where you want to go. You can also count on our lockout service to help you get inside your car should you lock your keys inside accidentally. If you blow out a tire while driving, rely on our flat tire service technicians to either patch up the hole in your tire or replace it entirely. Get back behind the wheel again if your car battery dies. Regardless of the cause, the solution is obvious. Our towing company offers a fast and reliable jump start service for cars and trucks of every make and model. With our 24-hour service, you are never without a ride or a way to jump start your dead battery. Battery failure is a common problem that frequently makes people late for work, appointments, and other important responsibilities. There are numerous ways a car battery can die. Perhaps you left your headlights or dome lights on, slowly draining the battery while your car was off. Maybe there is a mechanical issue with your alternator, so your battery does not recharge like it should. It could even be something as simple as having an old battery that just stopped working. Whatever it is, you can trust us to respond immediately to your needs. Contact us today to receive a car battery jump start within 35- to 40-minutes. We proudly serve Upper Marlboro, Landover, Brandywine, Shelton, and Largo, MD, as well as the surrounding areas.